Romaine L. Stumpf, 84, a resident of St. Anne’s Retirement Community, died Thursday, November 7, 2013 at the home. She was the wife of the late Jack R. Stumpf who died in 2007. Born in Mountville, she was the daughter of the late Frank and Grace Spiese. Romaine retired from Hamilton Watch and then in retirement worked part time for Yorgey’s Cleaners where she enjoyed the interaction with her customers. She was a member of the Community United Methodist Church. Her interests included gardening, traveling, spending time at the pool and collecting Hamilton Watches. She was the last of her immediate family. Her extended family would like to thank the staff of St. Anne’s for the wonderful care given to Romaine over the last years of her life. 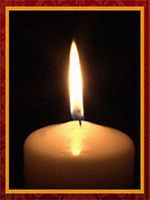 A Memorial Service will be held on Wednesday, November 13, 2013 at 11:00 A.M. at the Kearney A. Snyder Funeral Home, 141 E. Orange St., Lancaster, PA with the Rev. Carolene Brubaker officiating. Interment in the Mellinger Mennonite Cemetery. In lieu of flowers, contributions in her memory may be made to St. Anne’s Retirement Community, 3952 Columbia Ave., Columbia, PA 17512.